This is s small mokuhanga woodblock. I wanted to challenge myself to carve small. It's more difficult. He is 6x8 inches with a double mat bringing the size to 8x10. Mokuhanga is the traditional Japanese style of woodblock prints. The inks used are sumie and watercolor inks. Mokuhanga is a labor-intensive old school printmaking practice. I hand painted the woodblock after printing. 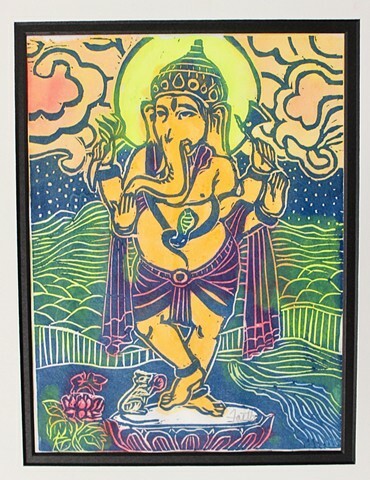 He is also available as a one-color woodblock.